>> I have left a message last night but was unable to get a call back. >> So I am emailing my question after signing up on your contact form. 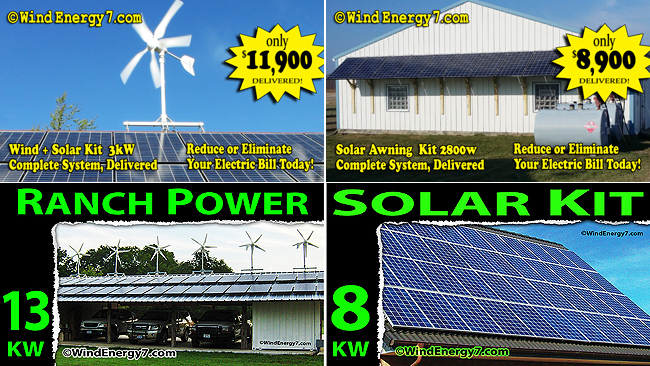 >> of 1750kWH a month what size of a system would you recommend. Most customers in that range are buying the 7kW. Theres a lot to think about when sizing and deciding. Most are buying at 5 to 7kW size systems and usually these days people are going more to the 7kW. Here’s a post or two that will help you understand more. Be very leery of anyone that gives you some quick answer to that question of what size you need. Its stuff that a buyer has to be trained to understand what all is involved. Just like people posting output to sell by, its all bogus because every site will be different and its too easy to mislead a buyer using that easy answer crap. Read these 2 posts and you will learn quite a bit to get started. And please, see this as an example of how well I support my customers without talking on the phone all the time. My phone time is spent all day/ninght with installers and inspectors.. about 20 installs at a time to support. Thats priority and the reason you can't get a quick call back is that Im already on the phone and taking one after another all day. For sales, by phone, is having the same phone call over and over all day is kind of wasteful. Also, all verbal support is mostly wasted and in need of repeating because it was not documented and written. In email and documents, videos you can easily share, review, go back, print it out. Verbal communication is a major waste in most cases of technical training and support. Ive been training and supporting technical stuff for decades before wind/solar. This is what I do. If you read my written responses and answers you will soon know the quality of the support that I am giving in text form. Read these two links below to posts about your question. These are two of my best explanations that Ive used thousands of times now.